One in every eight couples in the United States is struggling with infertility. Infertility is a highly stressful and emotionally difficult issue. Twelve percent of women have difficulty achieving and maintaining a pregnancy. Acupuncture can help. 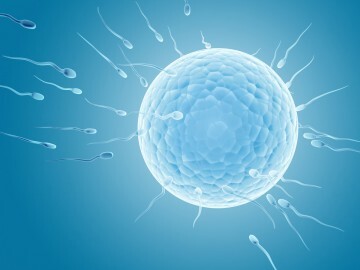 Infertility can be due to problems with a woman’s reproductive cycle (in 70% of infertility cases) or issues with male infertility (in 25% of cases) or both. At Acupuncture Arts East we address any and all health concerns that may be contributing to infertility. Acupuncture treats a broad range of disorders that can arise at various stages of a woman’s life. The reproductive cycle is a complex system involving hormonal functions in both the reproductive organs and the brain which orchestrates a myriad of different effects in different tissues. For a woman to achieve her full fertile potential, these physiological functions need to be regular throughout her reproductive years. Acupuncture addresses all the common discomforts of pregnancy such as heartburn, constipation, leg cramps, backache, nausea, swelling of the hands and feet, poor sleep, mood disorders, headache and fatigue. A safe and gentle treatment for pregnant women, acupuncture is easily tolerated and brings welcomed relief from the discomfort brought on by pregnancy in all three trimesters. In clinical practice, acupuncture given at week 36 through to the onset of labor is an ideal method to address the discomforts or medical issues that can arise in the last stages of pregnancy such as heartburn, constipation, leg cramping, backache, swelling of the ankles and hands, fatigue and poor sleep. Pre-birth acupuncture also helps prepare a woman to have the most efficient and comfortable labor as possible. Studies have shown that acupuncture during labor offers a range of positive effects including reduced time in labor; a reduced rate of medical intervention; a labor that progresses without intermittent slowing down of cervical dilation and uterine contractions; and reduced pain and greater emotional comfort. It is estimated that one in eight couples in the United States struggles with infertility. Acupuncture can help to improve the chance of pregnancy for couples in any stage of the infertility process. Studies suggest that when used with in vitro fertilization (IVF) acupuncture can optimize the effectiveness of this medical protocol. Acupuncture is an excellent adjunct therapeutic approach to maximizing the chances of achieving a pregnancy through ART (Assisted Reproductive Technologies) including in vitro fertilization (IVF). Research indicates an increased success rate with acupuncture when used prior to beginning the ART protocol. Women undergoing the protocols of ART, including IVF, often report high levels of stress, anxiety and depression, as well as discomfort from the side-effects associated with the hormonal management of the reproductive cycle. Acupuncture addresses these symptoms by down-regulating stress hormones, relieving pain and discomfort, promoting relaxation, improving sleep and providing emotional support to the woman. Reduction of blood flow impetus in the uterine arteries of infertile women with electroacupuncture, Stener-Victorin E.,Waldenstrom U., Nilsson L., Andersson S A., Wikland M. (1996). Human Reproduction, 11:1314-1317. Previous studies have shown that reduced blood flow in the uterine arteries is associated with a decreased pregnancy rate following IVF-embryo transfer. This study shows that after eight acupuncture treatments blood flow to the uterus was markedly increased. Research carried out by one group of IVF clinics in California has shown that using this protocol to increase blood flow to the uterus combined with acupuncture on the day of transfer has resulted in a significant improvement in pregnancy rates. The relationship between perceived stress, acupuncture, and pregnancy rates among IVF patients: a pilot study, Balk J., et al (2010); Complimentary Therapies in Clinical Practice, 2010; 16:154-157. This study investigates the relationship between acupuncture, stress and pregnancy rates. Patients who received acupuncture on the day of embryo transfer had a pregnancy rate of 55.6% compared with the control group pregnancy rate of 35%. Acupuncture treatment given before the transfer of the fertilized embryo(s) and again after the implantation in the uterus is believed to increase the chances of a successful outcome. Studies have shown that the more significant of the two treatments is the pre-embryo transfer acupuncture treatment. In vitro fertilization and acupuncture: clinical efficacy and mechanistic basis, Anderson, B., Haimovici, F., Ginsberg, E., Schust, D., and Wayne, P. (2007). Alternative Therapies in Health and Medicine, 13(3): 38-48. Influence of acupuncture on the pregnancy rate in patients who undergo assisted reproduction therapy, Paulus WE, Zhang M, Strehler E, El-Danasouri I, Sterzik K. (2002). Journal of Fertility and Sterility, Apr; 77(4): 721-4. Research indicates that acupuncture before and after an IVF transfer of the fertilized embryo/s has a favorable effect on a successful implantation in the uterus. Paulus and colleagues (2002) compared the clinical pregnancy rate of two groups of subjects: one that received acupuncture 25 minutes before and again 25 minutes after embryo transfer and another group that had no acupuncture treatment. The group receiving acupuncture had a clinical pregnancy rate of 42.5% compared to 26.3% in the non-acupuncture group. For twenty-five years I experienced excruciating pain during my period. At first the problem was ovarian cysts that would grow and swell until they burst. That was brutally painful. Luckily, it only happened about four times a year. Later on, however, I began to have pain every month. There was no sign of cysts, but for about two days each month I was in agony. My OB/GYN offered birth control pills, which I hated taking partly because of how they made me feel, but also because I felt it only masked the problem. I was on them and off of them for years when I finally became fed up with them. My next course of action was to take ten Advil every four hours for those two days just so I could function. That saw me through a number of years, but I was getting worried that the ibuprofen would eventually leave me with a hole in my stomach. Around that time, I started seeing a chiropractor. Being contorted in pain for two days every month for over a decade had really done a number on my alignment. His treatments eased the pain somewhat, but still, every month I was in hell for two days. I finally went to a fertility specialist who found a fibroid tumor on my uterus. After it was removed I had high hopes that my problems were solved. Sadly, the next month the pain was back. I was devastated. I actually started to wonder if it really was all in my head, as one doctor put it. When I informed the specialist about this during my follow up visit, he asked me to come back the next month on one of the two days that were painful. I agreed, but reluctantly, as he wanted me to wait to take any Advil until he’d run some tests. I did as he asked and suffered through two and a half hours of testing. There were sensors testing my heart rate, blood pressure, brain waves, my pulse, my core body temperature and a few other things. When I went back to get the results, the specialist told me that the pain I was experiencing was equivalent to that of a woman enduring hard labor. So, basically, I had been going through thirty-six to forty-eight hours of severe labor pain once a month for a good 20 years. While this news didn’t stop the pain, at least it made me feel better to know that it wasn’t in my head. Plus, I now had a way of explaining to doctors, in language they would understand, just how much pain I was experiencing. When I relayed this information to my chiropractor, in March of 2008, he suggested acupuncture. He gave me Susan’s name and I called her right away. I figured the worst that could happen was that nothing would change. I started seeing her a week later. The treatments were fascinating and she answered dozens of questions for me. I felt comfortable and safe in her care and, most importantly, she listened to me. As much as I liked that, I was after results and I was holding off on judgments until my next cycle began. In late April, my period arrived. Though I couldn’t believe it, I didn’t have any pain. There was some minor cramping, but nothing like what I was used to. When day three came to an end and I realized that I hadn’t so much as thought about taking Advil, I literally broke down and sobbed like a baby. The overwhelming sense of relief had me sliding to the floor and crying for about twenty minutes. I contacted Susan Kane because I was diagnosed with endometriosis. This was after about five years of misdiagnosis and three surgeries including a partial hysterectomy. I am only 40-years-old and did not want to have another surgery but the pain was unbearable. I was on all kinds of pain medication and was not feeling good most of the time. I decided to try a whole food diet for some of my symptoms and acupuncture for pain management because I had seen it recommended on several endometriosis websites. I admit I was skeptical at first but after only a few treatments I was feeling so much better I was completely amazed! Susan brought my pain down from a 9 or 10 to a 2 or 3, and sometimes, I’m even pain-free which hasn’t happened in many years. I am so grateful to her. I feel like she threw me the life preserver I needed when all of the other avenues I had pursued had me sinking deeper into the abyss. After a difficult labor, I delivered a big baby boy via c-section in August of 2007. Then, after a few months, I decided to get an IUC (intrauterine contraceptive). The IUC’s hormones were toxic to my body and, for almost a year, I found myself battling a major bout of postpartum depression as well as debilitating aches and pains, as if I had arthritis. I have always been a big believer in alternative therapies, especially acupuncture. I did an online search for acupuncture in Haverhill and found Susan Kane. Susan’s professional manner is miles ahead of any practitioner I have worked with. We talked before each appointment. She thoroughly reviewed my medical history and my current state of health to determine what course of action to take to help me get better. She listened, even when I was in tears, weary from atrocious symptoms that my regular doctors could not help me with. After just one treatment with Susan, I began to feel like my old self again. Once I had visited with her a few more times, I felt the aches and pains slip away, and the blackest depression I had ever suffered began to lift. At age 45, my MD offered a complete hysterectomy as the solution to my various gynecological problems. As the known side effects of such a surgery (hot flashes, mood swings, accelerated aging, etc.) could be addressed by taking hormones, I opted to have the surgery. The surgery did indeed resolve my various gynecological problems but it threw me full-blown into menopause. I had never before experienced such intense, rapid hot flashes nor such extreme mood changes. I was placed on EstraTab, a natural hormone, for two months with no impact whatsoever. I then tried Estrace, another natural hormone, and soy tablets, both of which made only a slight difference. The hot flashes continued to wake me up several times during the night and were still occurring about once every two hours during the day. After a couple more months of these symptoms, I began seeing Susan for menopausal symptoms. I saw an improvement immediately in that the number of hot flashes decreased steadily until after a very few sessions I was only experiencing them once or twice per day. My husband also remarked on my improved temperament. To learn more about the benefits of acupuncture for women's health and fertility, please contact us. Acupuncture Arts East is the private practice of Susan Kane, Licensed Acupuncturist. With over 25 years of experience, Susan is dedicated to providing the best in clinical care and personal attention to each individual. She specializes in the treatment of pain syndromes, stress management, women’s health and infertility. © 2019 Acupuncture Arts East. All Rights Reserved.